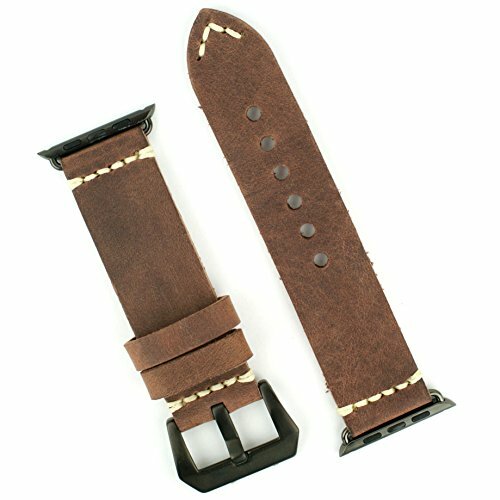 APPLE WATCH BAND Replacement band for 38mm APPLE WATCH BLACK STAINLESS STEEL Handsewn Italian Leather Vintage Strap (Brown) by B and R Bands at Kode Fu Guru. MPN: AP38Bbrnmnm. Hurry! Limited time offer. Offer valid only while supplies last.